Buying a vehicle is probably the second most expensive life purchase, next to a house. However, the costs associated with buying a car are far more than the cheque you write before driving it off the lot. There are many expenses that are a constant for owning a car. Gas, repairs,and insurance are a couple of the consistent car expenses. Figuring out how to save money while owning a car can be tricky; here are a few tips that should help in reducing the cost of owning a car. The time that you purchase your fuel may have an impact on the money you spend on your car. Stay away from getting fuel on the weekend. It’s also important to shop around for gas prices. Sometimes it may be cheaper to drive the extra few blocks over instead of filling up close to home. And lastly, with gas prices consistently on the rise it could be time to consider fuel alternative cars. With the number of hybrid and electric cars increasing, you may very well be able to upgrade to a new Tesla electric car and ditch the guzzling Ford Escape. It is best to ensure that your car is checked out regularly and to never procrastinate when a warning light tells you your car is having some technical problems. Driving around and forgetting about the problem is an easy way to end up paying more for repairs! Even if an issue looks like it might be mild, it could end up being the first sign of a serious problem. While it may cost you a lot to get your vehicle checked on a regular basis, you will definitely end up saving on repair costs in the long term. 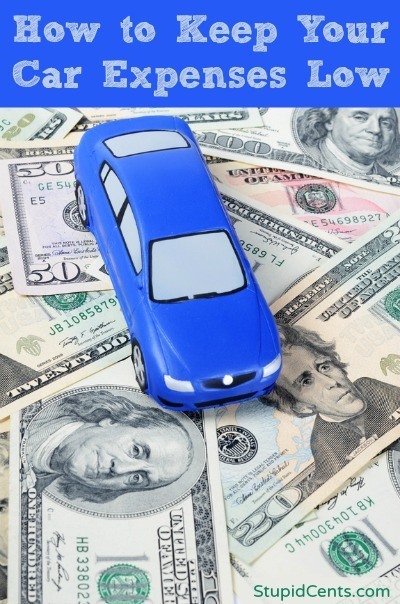 There are a few ways to save cash on your car insurance bills. In fact, it’s as simple as raising your insurance deductible. In other words, raising the money you have to pay for accidents will lower your all round insurance costs. The only downside to an increased deductible is the fact that you will pay more if you get into an accident so drive safely! Lastly, there are alternative to owning your own car. Public transportation is always an option for those who live in metropolitan cities, but it is not always to most convenient mode of transportation. Car share programs are becoming increasingly popular and a suitable alternative to owning a car or relying on public transportation. As an effort to make driving more economically suitable for occasional drivers and to reduce the number of cars on the road, car shares are an environmental and economic conscious alternative to owning your own vehicle. Great advice. I live out in a rural farming area. I only go out about once a week and I work all errands around that one trip. I thought when we moved here from the suburbs my gas expense would go way up. In fact, it has gone down quite a bit. I need to keep some of these in mind – just learning to drive now and I’m looking for a car soon. 🙂 Thanks for the tips!